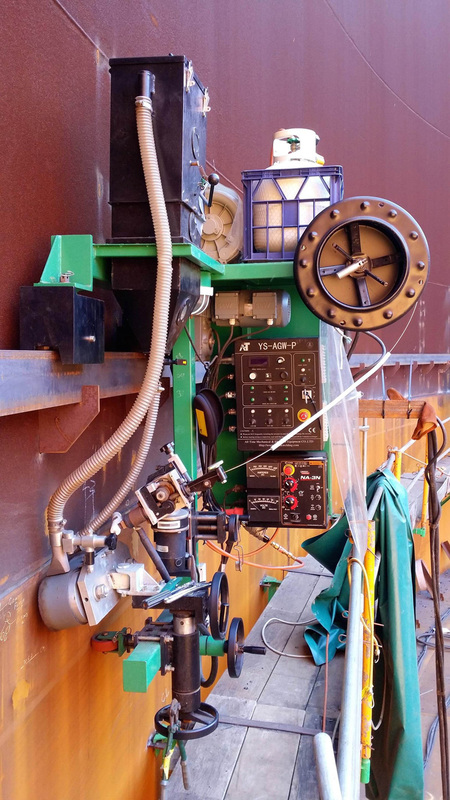 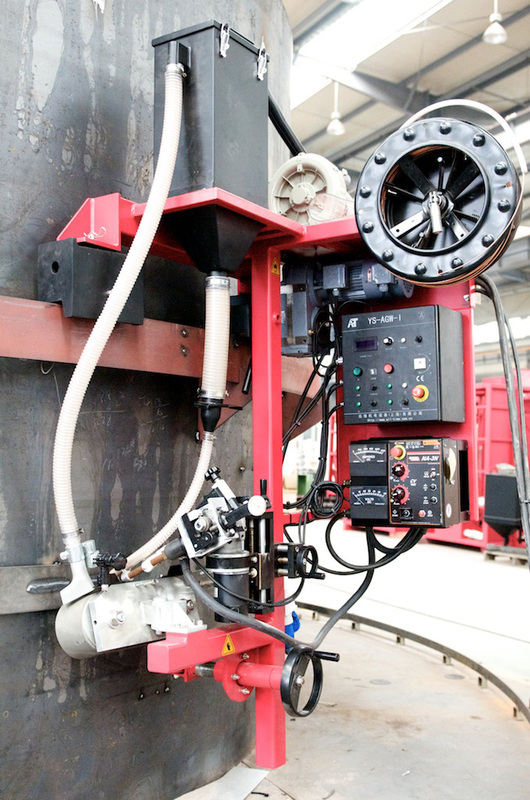 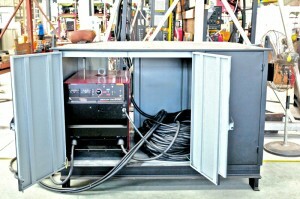 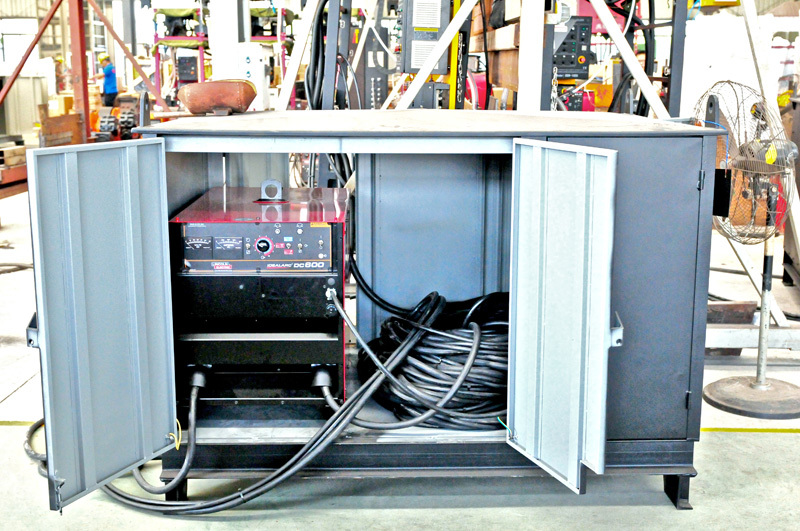 AGW P is an unmanned AGW | Automatic Girth Welder | AGW | 3 O’Clock Welder | Tank Welder designed to travel on a rail which is temporarily fixed to the shell plate. 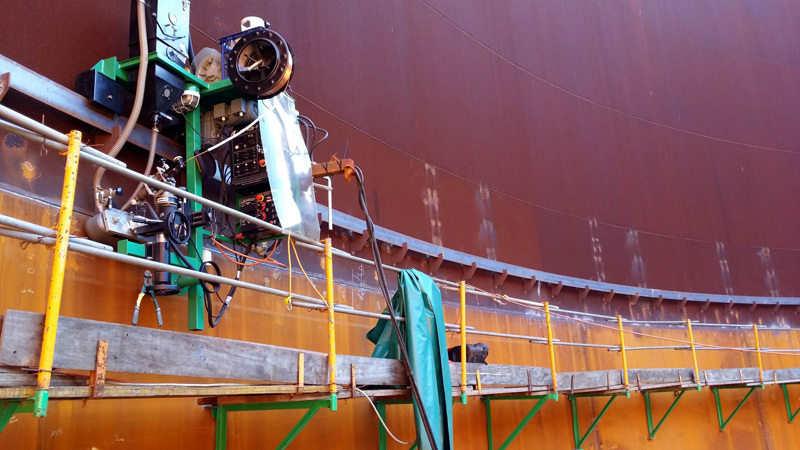 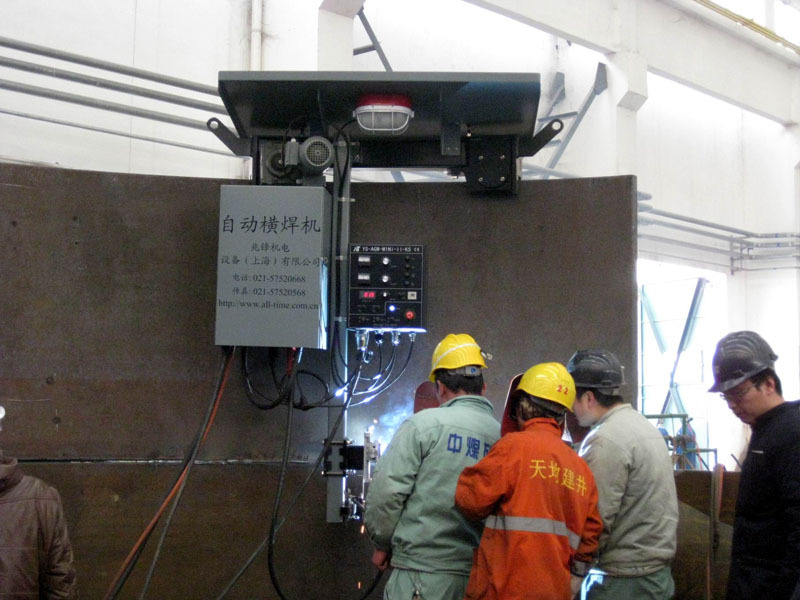 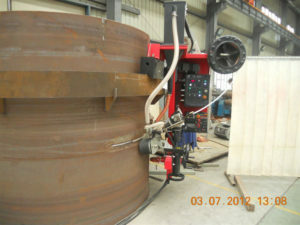 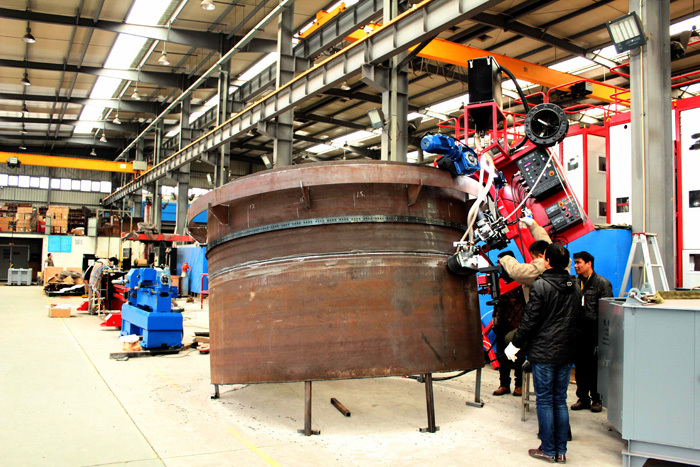 The AGW P unmanned are AGW Tank welders that are a series of self-propelled Automatic Girth Welders (3 o’clock) welding equipment primarily developed for on-site erection of large storage tanks, silos, blast furnaces and similar cylindrical objects. It is available as a single-side version and a double-side version. Usually it is designed to travel on the top edge of the tank shell. 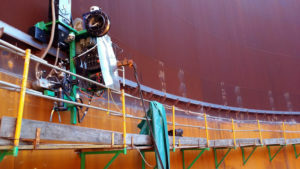 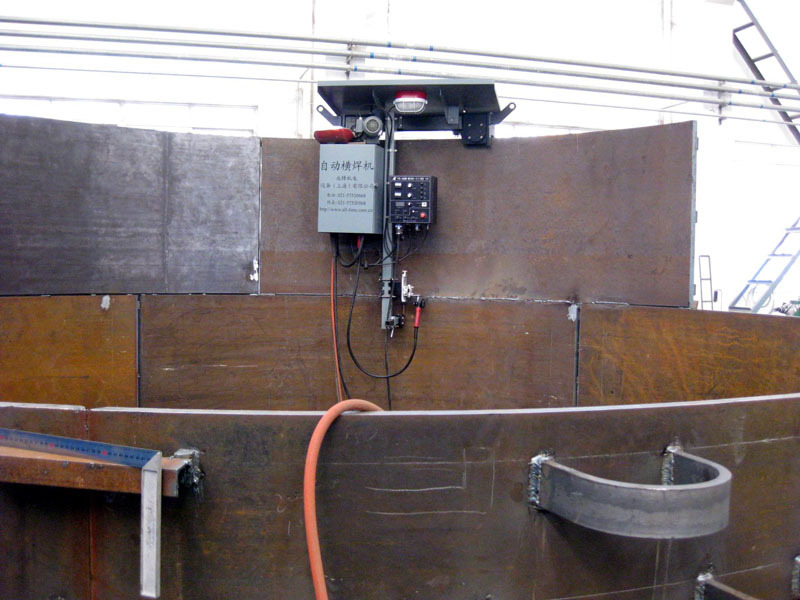 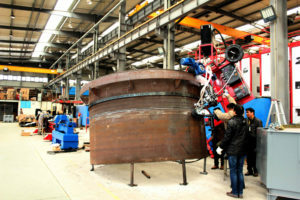 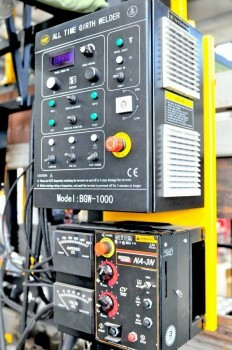 As there are different ways of building tanks, one machine in the series is designed to travel on a rail which is temporarily fixed to the shell or on a stand-alone ring outside the shell. 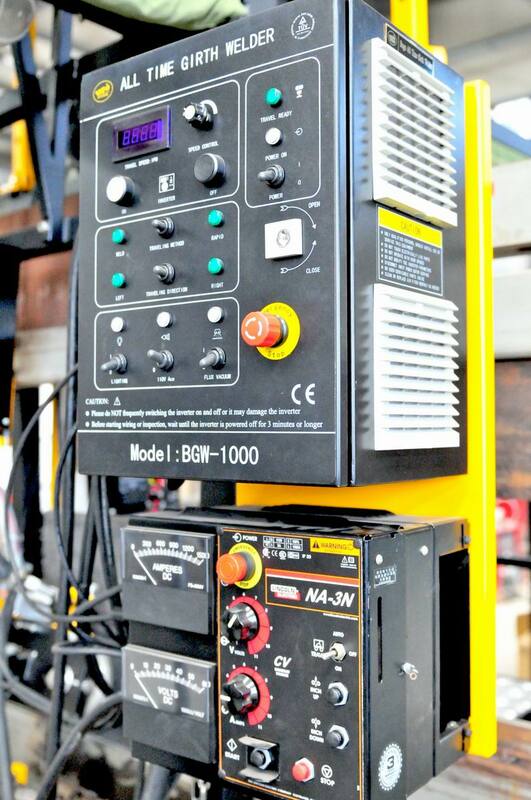 This line of equipment is built to safety European CE safety standards and when required it can be built to USA / Canadian safety standards cETLus approved for use in North America.